Warning! Inflated Language Ahead. If you use inflated language, you can sound stuffy and turn people off. 1. If you have a tendency to use formal words in everyday conversation. 2. If you use the word myself when you should have used me or I. 3. If you use the word badly when you should have used bad. 1. It is better to just say what you mean and not try to impress your listener with a $10 word. 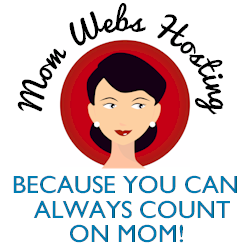 Don’t tell your children to stop prevaricating when you could just ask them to tell the truth. There are occasions when formal words are appropriate, but using big words to try and impress people may be a sign of inflated language. 2. The word “myself” is used very rarely. 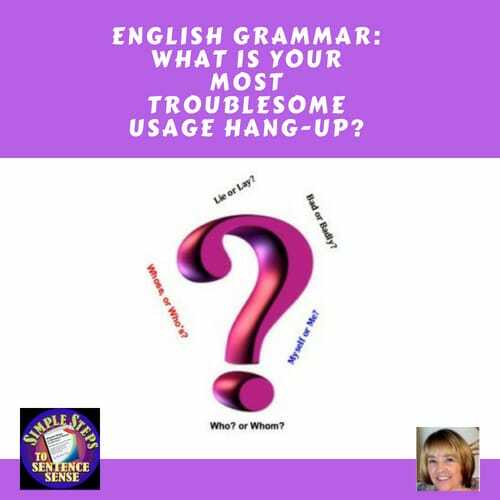 If you find yourself using it frequently, you may just think you sound educated. A visit with John and myself is just what you need. Please visit Jane and myself when you are in London. A visit with John and me is just what you need. Please visit Jane and me when you are in London. Myself is a reflexive pronoun that refers back to the pronoun I. When you use the word myself, the pronoun I to which it refers should be in the same sentence. Correct: I think I find myself in an awkward position. Myself can used for emphasis or to show that the subject and the direct object are the same. For example: I will help myself. It can also refer to one’s health. For example: I wasn’t quite myself yesterday. Using myself when you shouldn’t can be a sign of inflated language. 3. Finally, be sure to use the adjective bad after a linking verb such as feel and was. Use the adverb badly after action verbs. 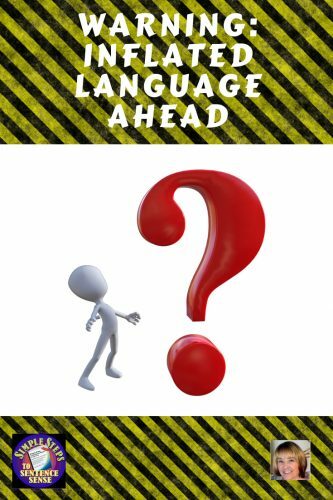 Keep the 3 warning signs that you are using inflated language in mind when you speak and write. The point is to say what you mean as clearly as possible. 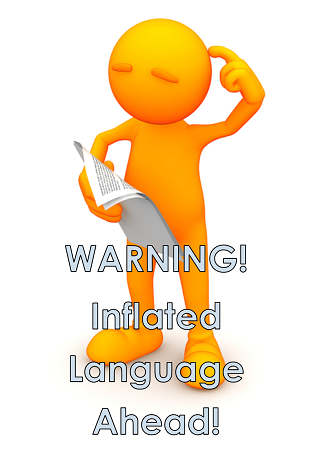 Using inflated language does not make a person sound smarter; it makes a person sound puffed up and stuffy. 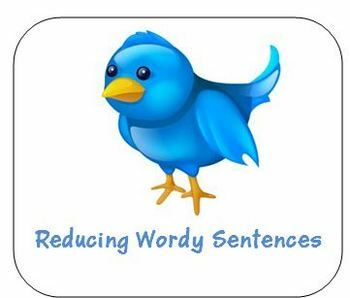 Visit my store for a free exercise on Reducing Wordy Sentences. 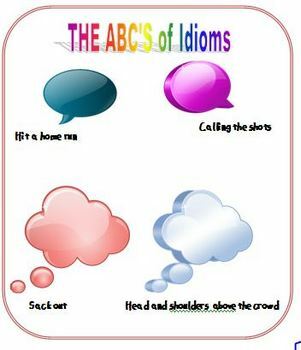 Visit my store for an exercise on The ABC’s of Idioms and Inflated Language. Only $2.50. 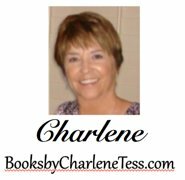 You might also like Charlene’s post about troublesome English grammar. 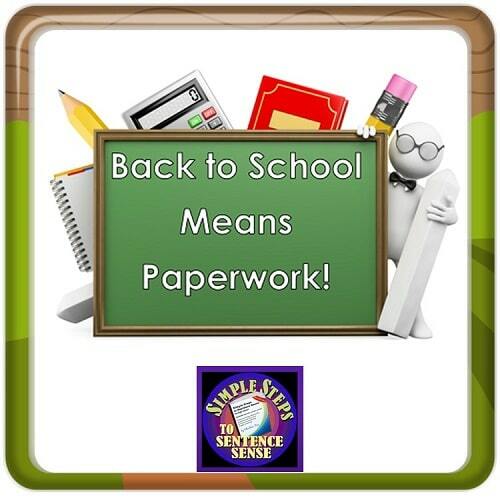 And Charlene has written a post about magaging paperwork for teachers at this link.